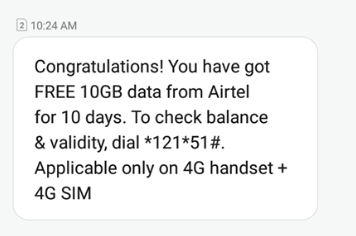 Give Miss Call from your Airtel Number and Get 10 GB 4G Internet Data Absolutely Free!! 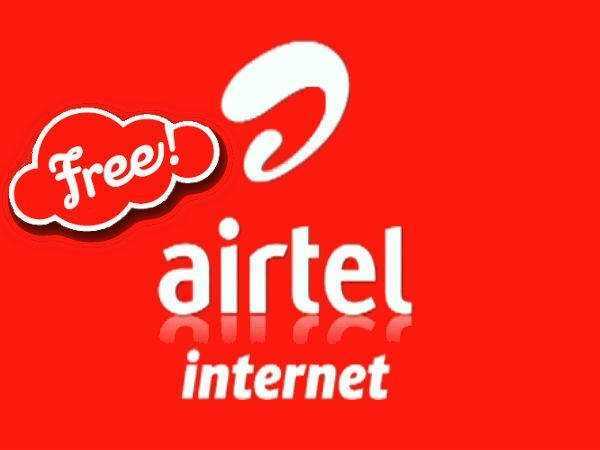 – Airtel is back with one another Promotional Offer and this time offering 10GB Data Absolutely Free by just giving a miss call. Well, this is working for some specific users only. May be this is for those who have recently upgraded to 4G Network or for those who are on 3G Network. So let’s check the trick and loot free internet. 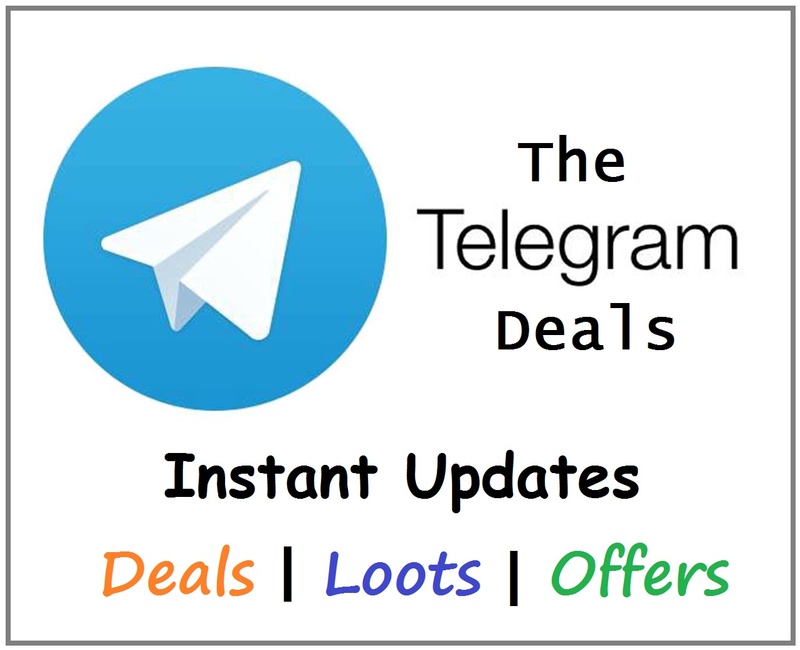 After miss call, you will get a confirmation message regarding the offer status. If your number is eligible then you will receive 10 GB 4G Data Absolutely Free which you can use in 4G Smartphone. The validity of this free data will be 10 days. So make the full use of this free internet. To check your free internet data balance, dial *121*51#. NOTE: Make sure you use this Free Internet in a 4G Smartphone and in 4G Mode only. Otherwise your balance will get deducted.